Surfing Medicine International is at heart a certified medical association powered by a passionate and truly global network from every aspect of life. We envision every surfer as an ambassador for health and environment. We believe in connecting great people. Being part of the scientific communities, we share our knowledge and experiences to inform and educate coastal communities “Keeping the surfer healthy and safe”. Surfing Medicine International brings an unique event , World Conference on Surfing Medicine to Torquay the Surfing capital of Australia for a three-day programme of inspiring lectures including workshops, and outdoor activities, featuring leading specialists and inspirational speakers in Surfers’ Health & Injury Prevention, Training & Performance, and the Ocean Environment. The Advanced Surf Life Support™ (ASLS) course is a practical, water-centered 7-day medical training course. The ASLS course has been custom-made to prepare and train health professionals in acute surfing medicine, to learn and master basic aquatic life saving rescue techniques, and wilderness medicine at remote surf locations. This intense 1-week-course is probably the most fun and intense way to up your water relevant medical skills and expertise. This unique format will await you with daily hands-on workshops, practically orientated lectures and intense scenarios. The next ASLS course with available seats will be hosted in Peniche, Portugal from 19th – 26th May 2019. Get one of the limited tickets for the ASLS course 2019 now. with practical experience or in continuous first aid training: this 1-day-course will teach you new, surf relevant skills and knowledge in a fun and practical way. ► BSLS @ your homespot: Host a course at your home spot? Email info@surfingmed.com for more information! Drowning & Water Safety, Surfing Injuries & Prevention and UV related skin disease. Welcome to the first Global Injury Register for board riding water sports. This anonymous five (5) minute survey. The purpose of the Global Injury Register is to find out more about the prevalence and patterns of injury in board riding sports. With this knowledge we aim to improve safety measures, help industry evolve safer products, and deliver board riders everywhere reliable, activity-specific, and trusted safety and first aid information. Thanks for your time and contribution! Fill in your injury now in the Global Injury Register! This course offers globally peerless education for professional surf coaching. The curriculum is based on state of art, evidence based science and practice created for surf coaches, sport science graduates and sports health professionals ready to take their skills and capabilities to another level for more click here. Who are Surfing Medicine International? Surfing Medicine International (SMI) is the world’s largest and leading collective of Surfers, Lifeguards, Medical & Allied Health professionals of all specialties, Surf Coaches, environmental & other associated scientists, Students, Surf Industry and key surfing stakeholders, who are actively contributing to welfare of the global surf community, through numerous activities, such as: treatment in day-to-day practice, serving as contest medical personnel in both professional and amateur surfing arenas, delivering training courses (e.g. Advanced Surfing Medicine Life Support™), outreach events to Surf Community – Surfer’s Academy, conducting scientific research work and publication, defining evidence-based standards within the specialty and the sport at large, and convening the Annual Conference in Surfing Medicine. Surfing grows increasingly popular with some estimates suggesting up to 37 million people participating worldwide nowadays. Surfers may encounter several different types of health issues whilst riding waves around the globe: trauma, to the head or extremities; drowning; hypothermia; UV damage to the skin and eyes; exposure to tropical infectious disease, as a result of traveling to far-flung destinations; stings and/or bites from animals, Mental health – Substance abuse & Depression. That’s quite a broad spectrum, yet we’ve only listed a few. 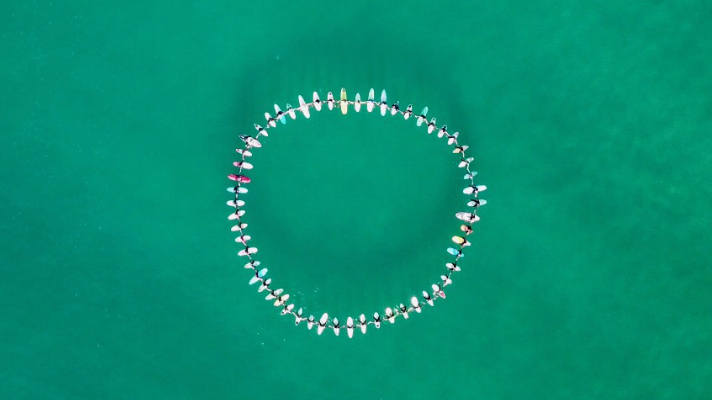 By connecting individual Surfers and professionals, we hope to share knowledge, expertise and stoke for global health ambassadorship in the Surf community at large. If you would like to get involved, and believe your skills can make a positive difference, please get in touch. Send us your suggestions, observations, questions, or support SMI with a donation. We are open to individuals from different backgrounds, from surfer, to student (we have a separate student section! SMI for Students), scientist, to medical professional. We invite everyone who can contribute to keeping the surfer healthy and safe to contact us and make a change. Email to info@surfingmed.com to contact us now! Drowning, skin cancer prevention and surf injuries are just three of the many topics Surfing Medicine International (SMI) successfully addresses for years. We’re educating medically non-trained surfers, health professionals and key players in the surfing world. Surfing Medicine International is a global network of health professionals, medical doctors, paramedics, physiotherapists, lifeguards, marine biologists, among others. Surfing Medicine International is a non-profit, non-governmental organisation with the aim of keeping the surfer healthy and safe! We offering several events per year, both for the public and for selected health professionals. Three of our main events are the years “World Conference in Surfing Medicine” and the “Advanced Surf Life Support” (ASLS) course for Health Professionals, as-well the “Basic Surf Life Support” (BSLS) course suited for every surfer and water enthusiast. Our course’s graduates include surfing enthusiasts, ship and expedition doctors, physiotherapists of national teams, medical personnel from pro surf events, big wave surfers and other water sport professionals, among others.